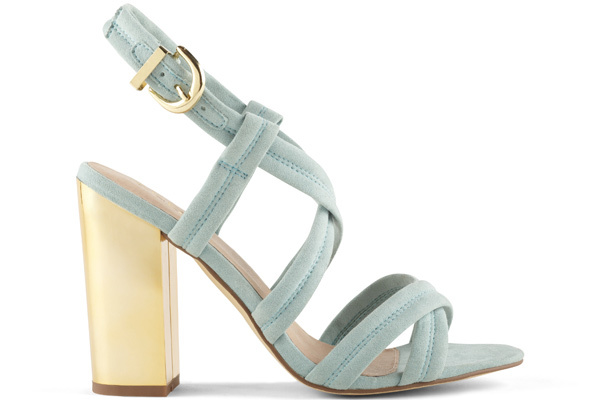 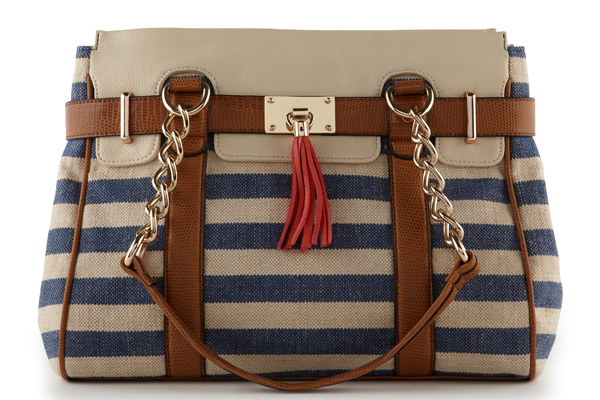 Aldo has created an extensive collection of accessories and footwear for Spring 2013. 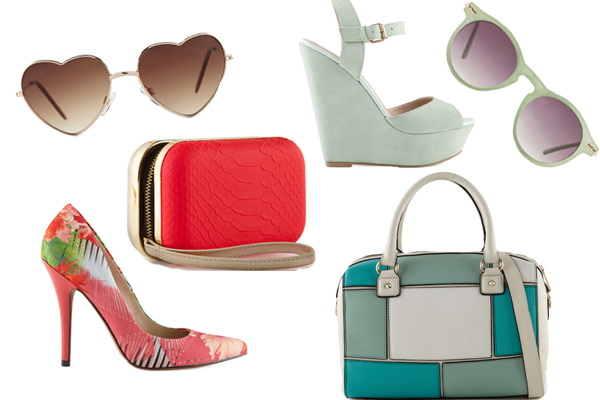 Comprised of pumps, boots, and wedges, floral-framed shades and snakeskin accessories the collection complies with the latest Spring 2013 season trends. 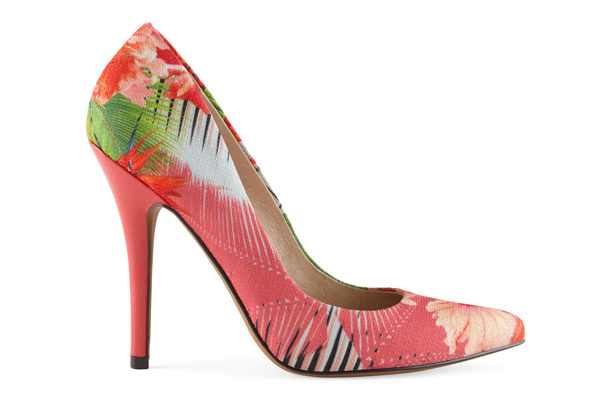 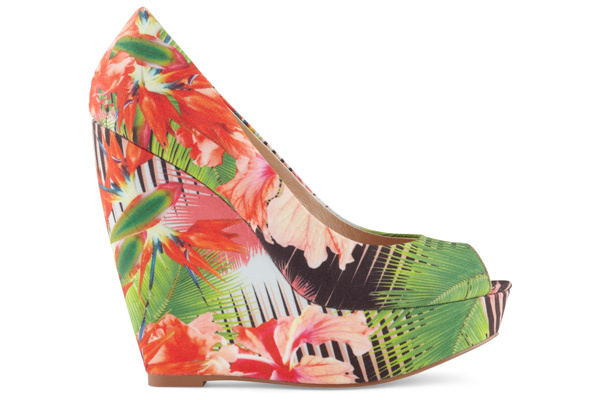 There are colorful floral shoes as seen at the Spring 2013 runways. 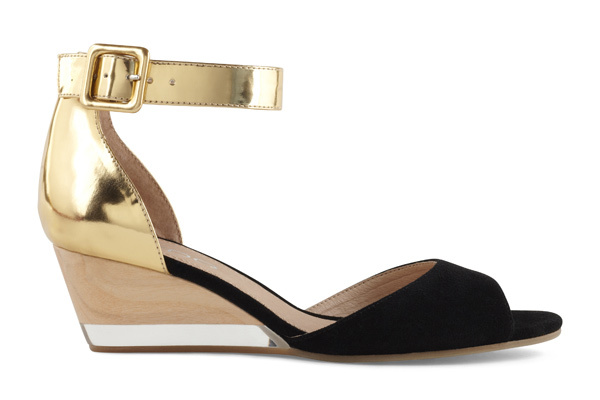 These come in pump and wedge versions. 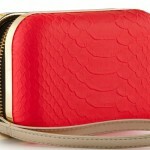 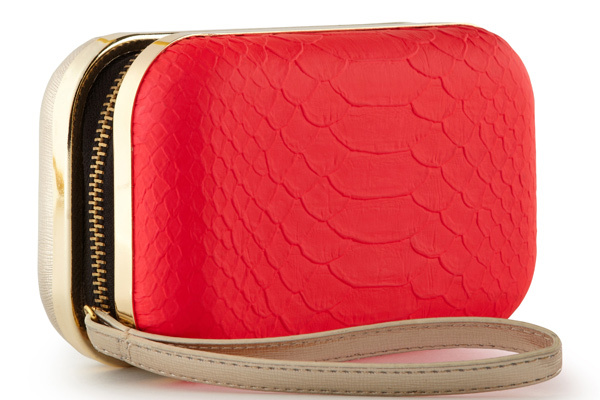 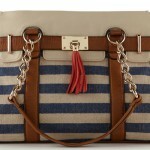 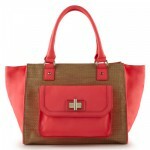 They can be paired with the bright red bags and clutches in the range. 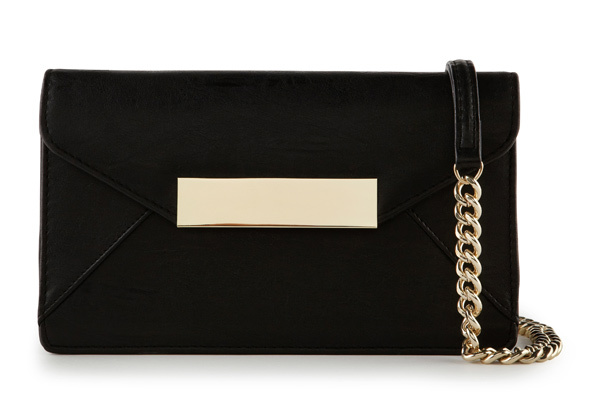 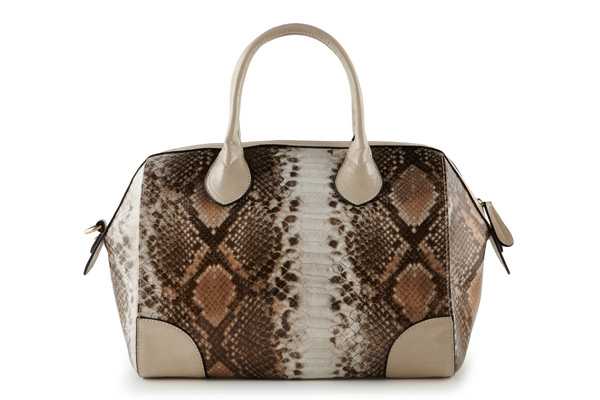 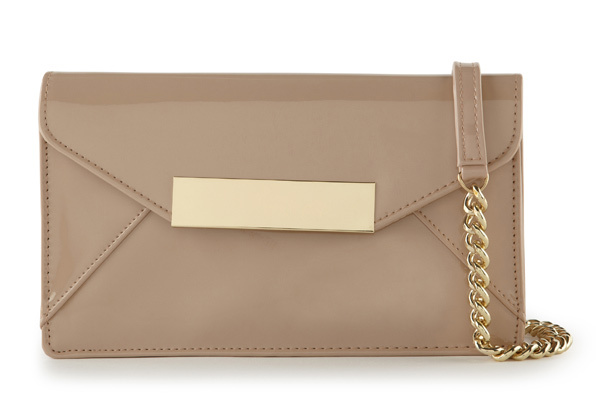 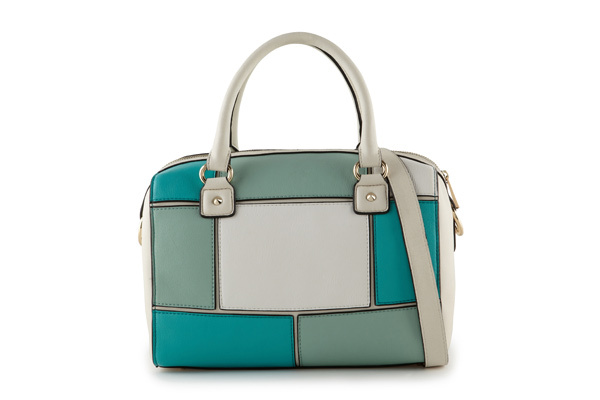 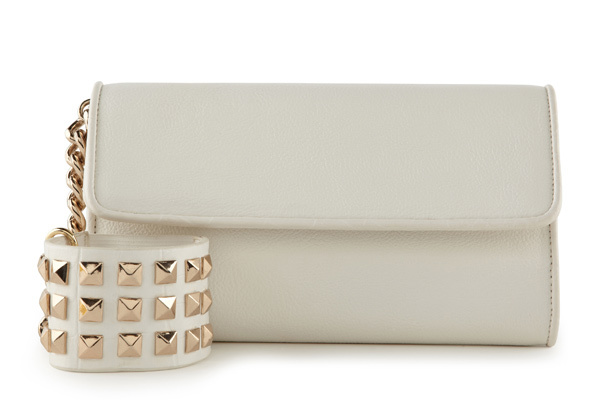 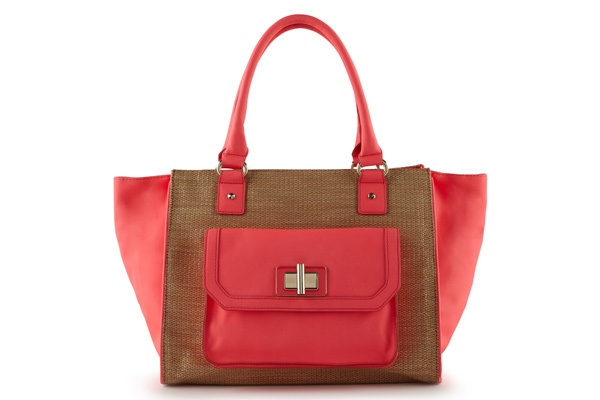 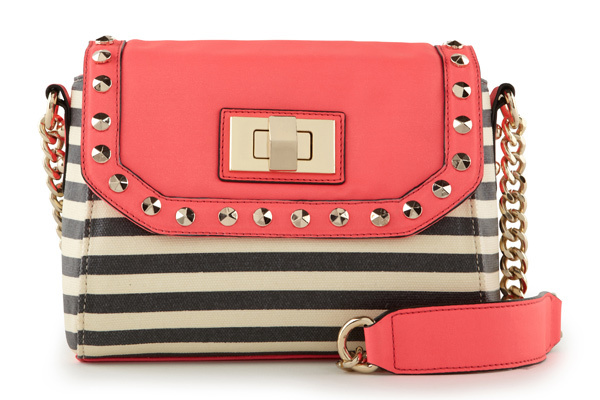 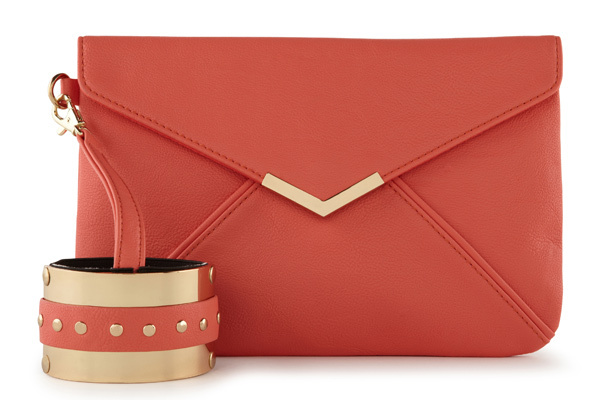 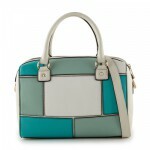 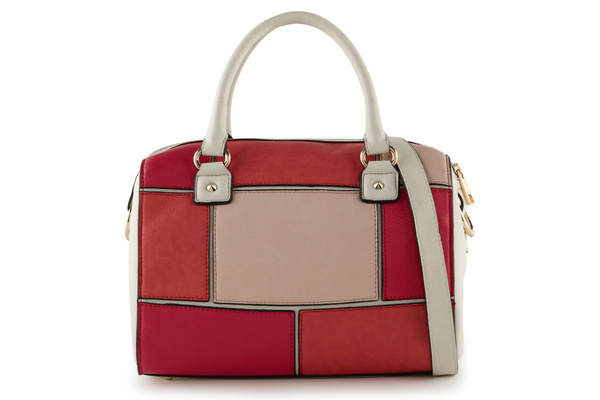 The bags come in color-block and wrist cuff designs. 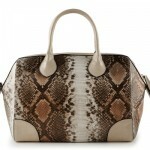 There are studded elements in the collection which is also a continuing trend as seen at Valentino and Etro. 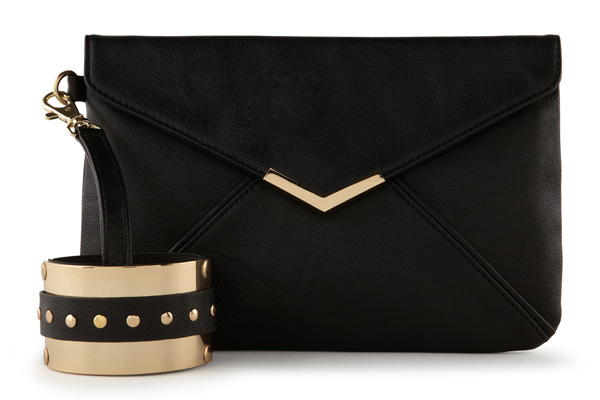 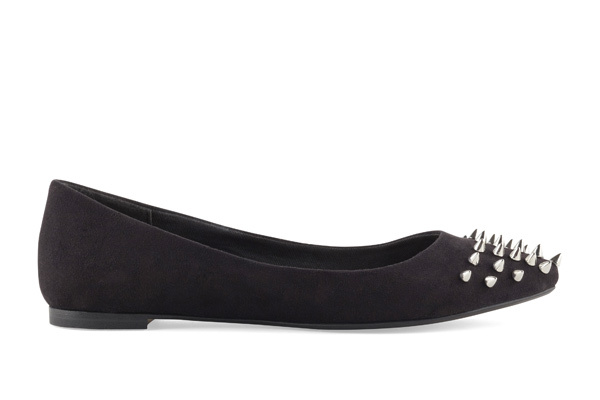 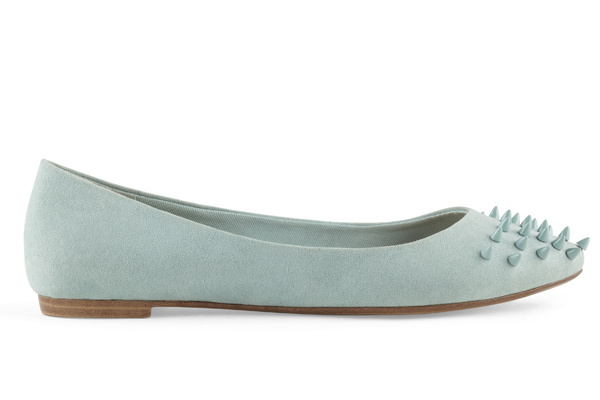 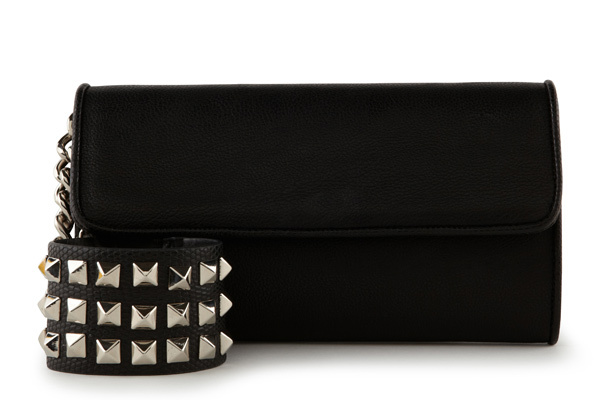 There are clutches with the studded cuffs and spiked ballet pumps in black and aqua colors. 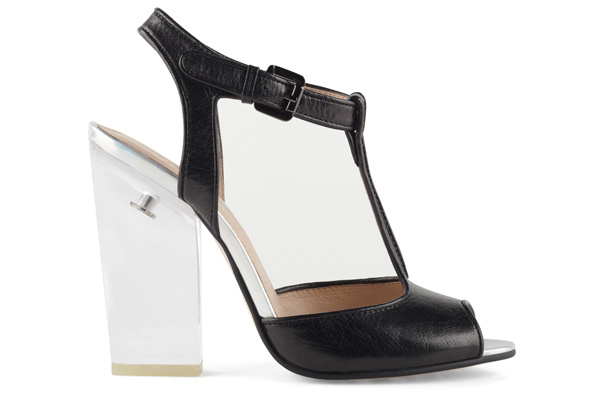 Another trend present in the collection is a clear lucite heel fetured in one of the shoe pairs. 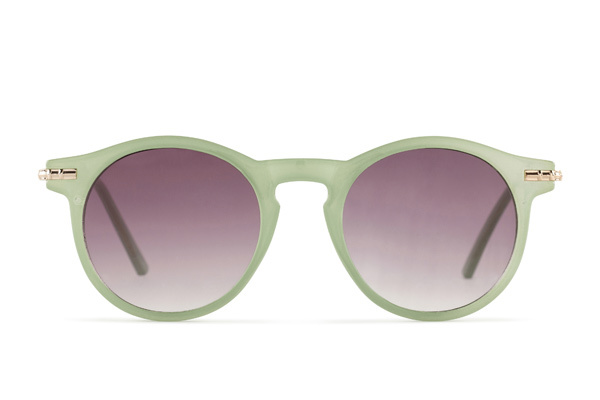 The transparent trend has been around for a couple of years but this Spring it’s totally back. 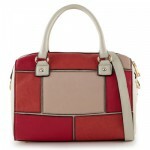 Designers like Stella McCartney, Valentino, Gucci, Burberry Prorsum and others went for clear bags and clutches as well as shoes and heels. 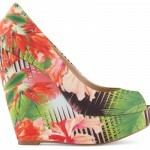 The big platforms are the main part of the collection. 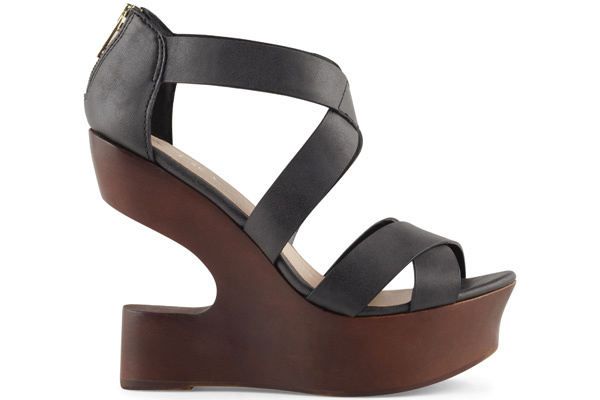 Big platform wedged kicks come in black, beige, and light mint colors. 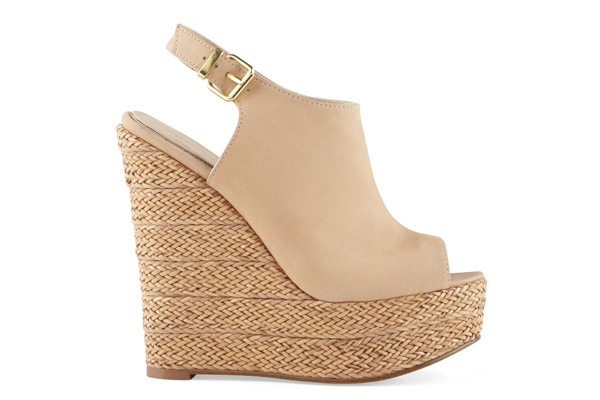 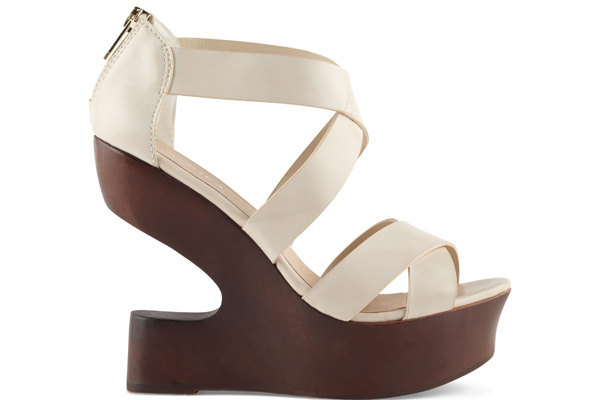 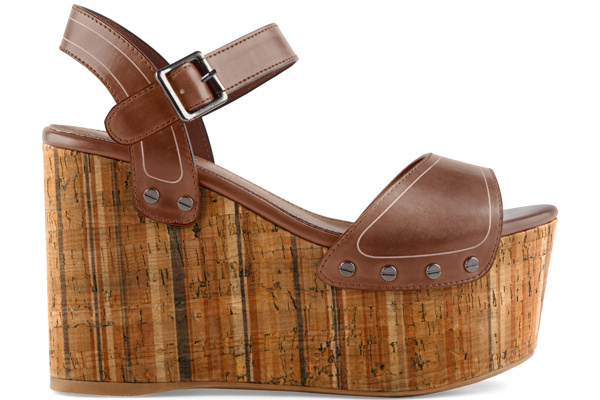 There is also a brown wedge with a wide wood-look platform and beige patent wedges with an eye-catchy design. 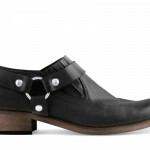 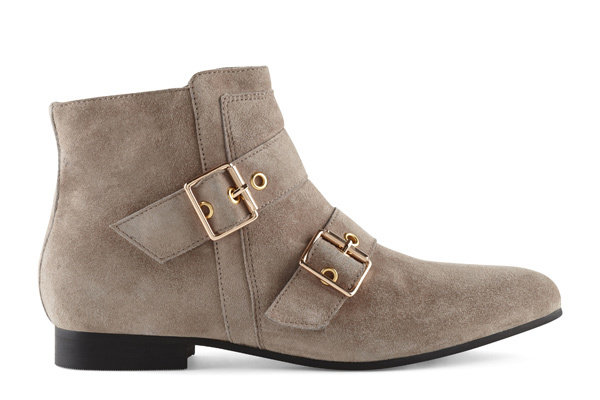 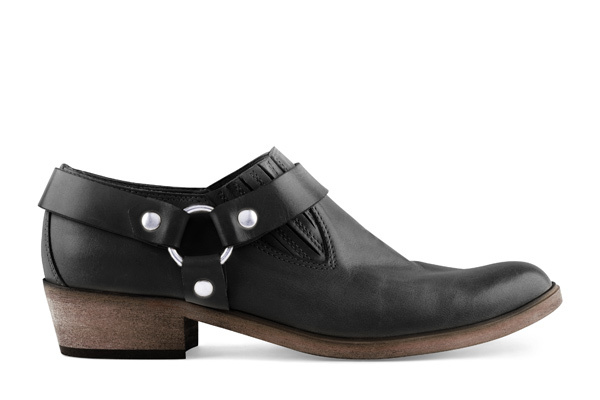 Ankle boots continue to be in trend. 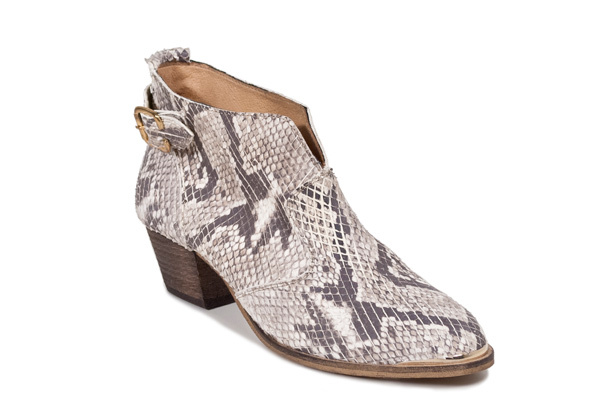 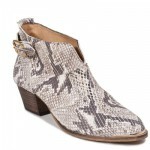 The collection includes snakeskin boots and the boots in taupe suede. 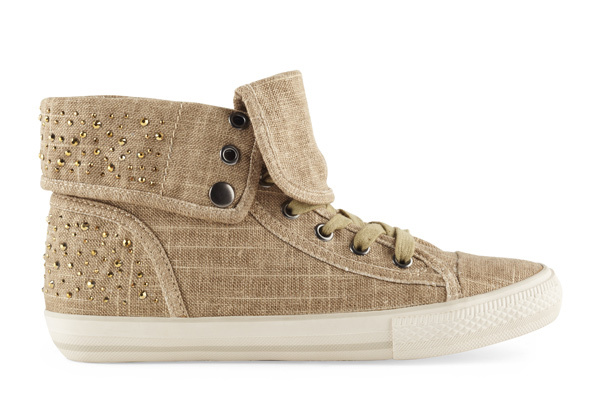 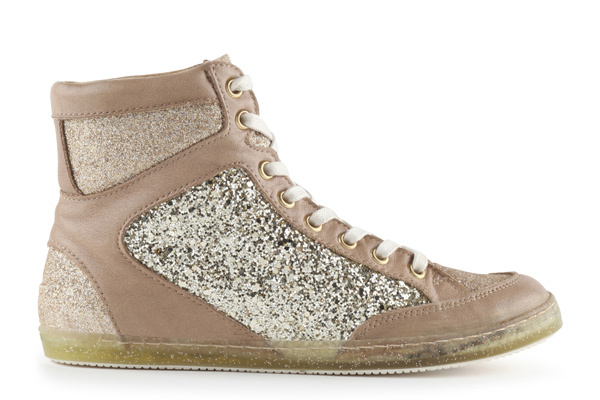 The also trendy high-top sneakers come in neutral color but glam glitter finish. 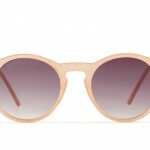 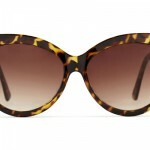 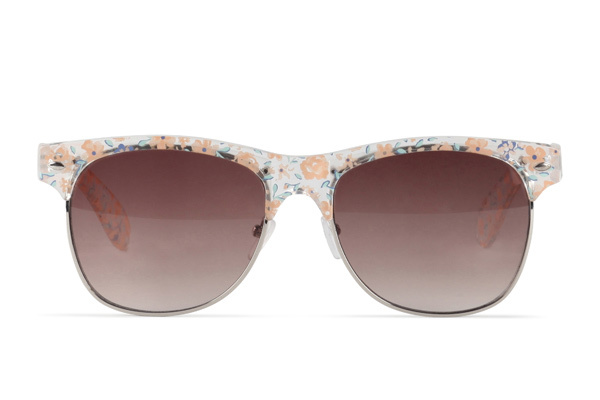 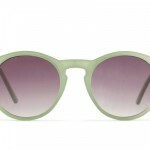 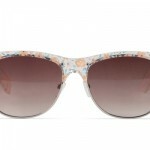 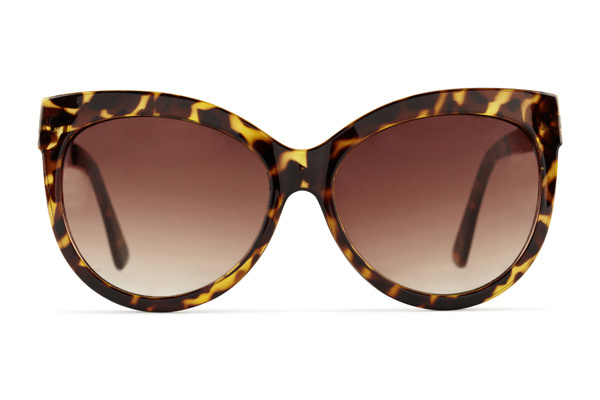 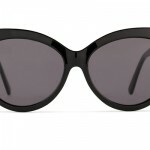 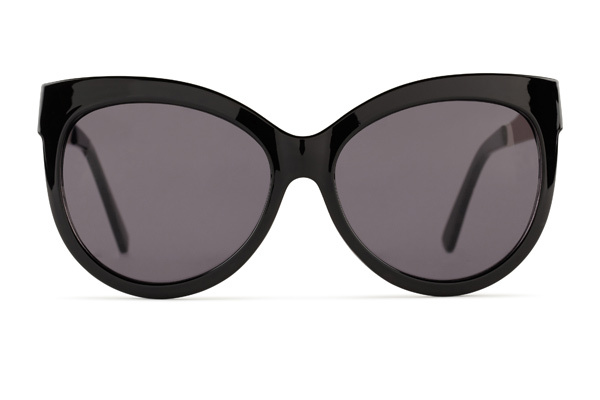 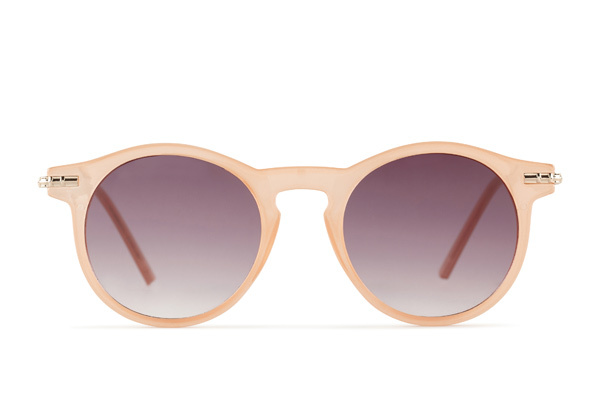 The sunglasses in the collection come in colorful rounded frames as well as trendy leopard and floral patterns. 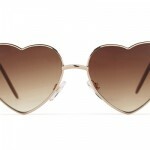 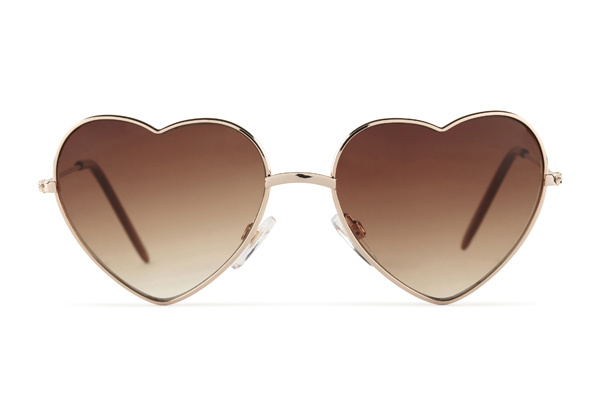 The heart-shaped brown shades are another playful design fitted for Spring. 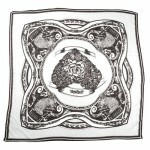 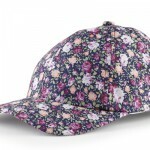 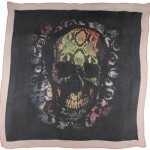 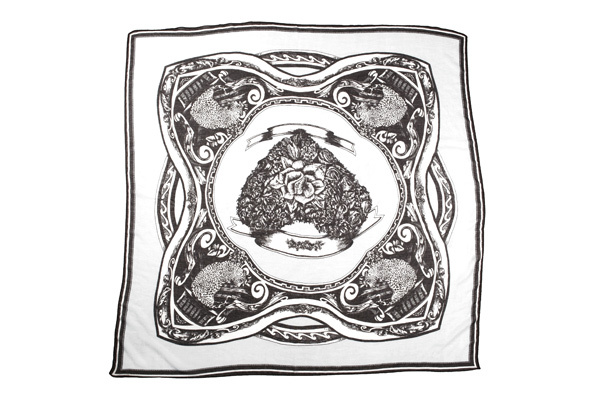 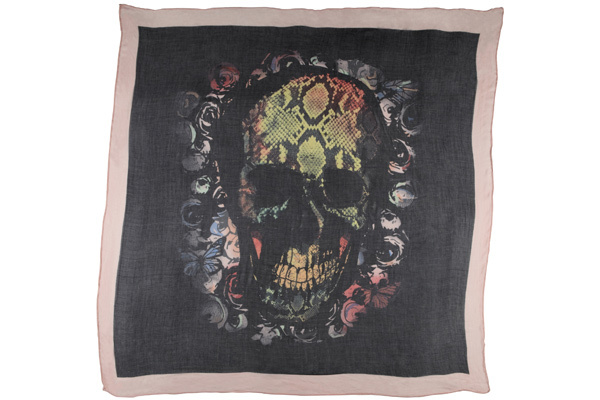 The collection also includes a couple scarves and a floral cap. 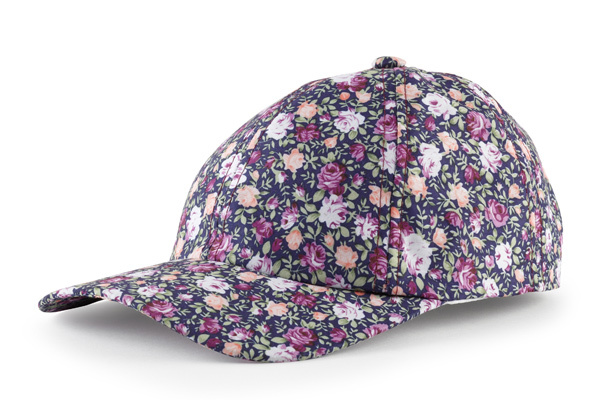 The caps, by the way, have bee seen at several shows during Fashion Week Spring 2013 so you can easily sport them while being in trend.